http://science.nationalgeographic.com/science/archaeology/emperor-qin/ Photo: Terra-Cotta warriors, China. Whilst I have taught many aspects of China, as we face a new curriculum, I find the contents of these texts somewhat reassuring. I use them to keep me and the kids on track. Given the breadth of timeframe and topics, not as easy as other areas to use an encyclopaedia. 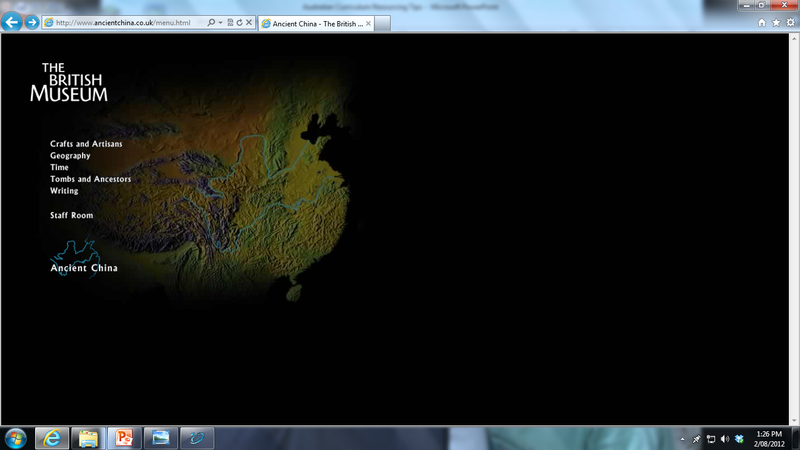 Why not mix Depth Study 1 Investigating the Ancient Past with Ancient China as this document proposes. 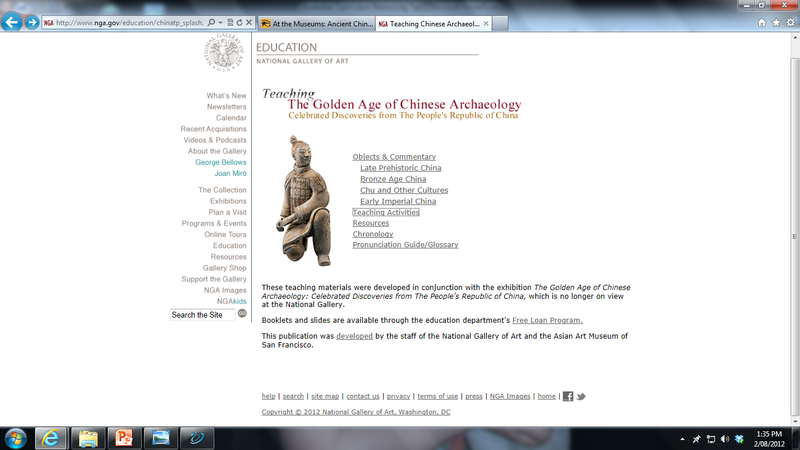 National Gallery of Art (Washington DC) has some good archaeology resources. Monuments of China – A massive list of buildings, monuments and shrines in China, with accompanying information. Questionable usefulness apart from images. VEA has produced two videos and print materials to address ACDSEH132 and ACDSEH041 of the Australian Curriculum: Confucius in Ancient China and Key Groups in Ancient China. Thanks for creating this resource. Excellent!